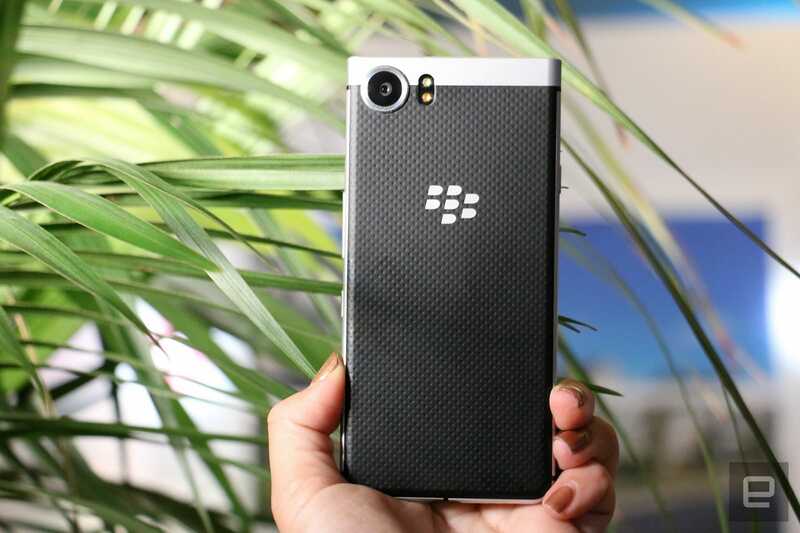 It's TCL's first device since buying the rights to the BlackBerry brand. Eagle-eyed BlackBerry fans (if there are any left) have probably been following the rumors about a device that is supposedly codenamed Mercury. They may have even caught the little teasers that TCL Communications president Steve Cistulli has been sharing on his Twitter in the past day. To no one's surprise, the reports were true, and TCL has indeed been working on its first BlackBerry handset since it bought the brand. Mercury isn't the upcoming smartphone's official name (although how cool would it be if it were! ), but the company is going with the flow and adopting it as a placeholder name for now. Indeed, even though we saw an intriguingly familiar and striking prototype here at CES 2017, much of the phone's specs are still unknown. Cistulli couldn't yet share information on price or availability, but was happy to show us the working model and highlight three features the company can confirm. From my preview, the Mercury looks to be a better-looking, non-sliding BlackBerry Priv, and has the potential to please fans and perhaps even win over new customers. The three features that TCL is sharing at the show are a physical QWERTY keyboard that doubles as a touchpad, a fingerprint sensor embedded into the physical space bar, as well as software that BlackBerry fans seem to love. The Mercury will run Android 7.0 Nougat, and come preloaded with BlackBerry Messenger, BlackBerry Hub and a DTEK app for greater convenience and security. Like it does on the DTEK50 and DTEK60, the DTEK app shows you how the apps on your phone are accessing your data. Let's circle back to the physical keyboard for a moment. The ability to use the surface of the buttons as a touchpad to navigate the system isn't new -- that function was a highlight of the BlackBerry Passport. But the feature is extra useful here because the space taken up by the physical keys makes it tougher for your thumb to reach the screen above; Swiping left, right, up or down on the keyboard to flick through home pages or browse long webpages is much easier in a pinch. This worked well during my time with the Mercury, although the prototype was sometimes sluggish in responding to my touch. The fingerprint sensor that's embedded into the space bar wasn't functional on the preview unit, but it's supposed to make unlocking your phone or authorizing transactions more convenient. As the self-proclaimed selfie queen, I also checked out the Mercury's front and rear cameras (although TCL hasn't divulged details on these yet) and found the images crisp and vivid. Unlike TCL's most recent collaborations with BlackBerry, which resulted in the Alcatel Idol 4S-like DTEK phones, the Mercury has a unique design. Its long silhouette and silver-and-black aesthetic sets it apart from the sea of boring black rounded rectangle Android phones. Ultimately, we don't know enough about the Mercury to say with certainty if it is the phone that fans deserve, but the prototype is definitely good-looking enough to rouse my curiosity. 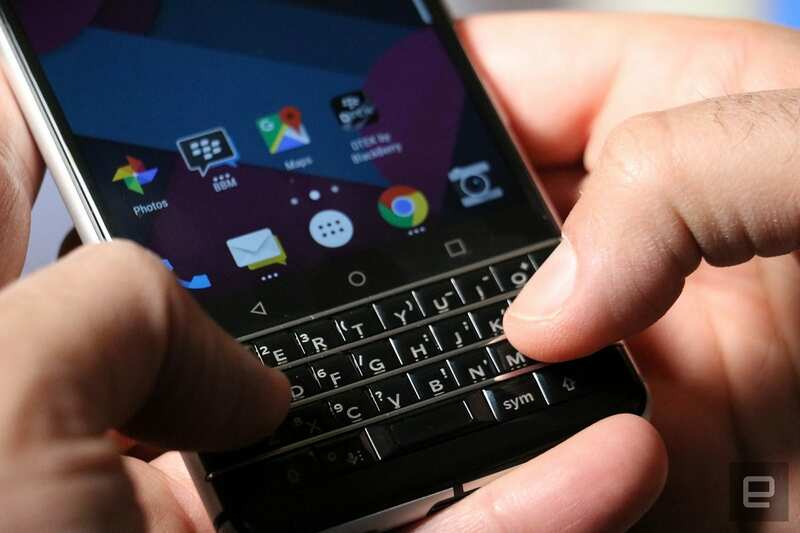 BlackBerry's well-received security software continues to help it earn a place in corporate executives' pockets and bags, and the Mercury will likely continue to appeal to that crowd. TCL says it will have more information to share in the days leading up to Mobile World Congress in February, so we'll have to wait until then to see if the rest of the specs add to or subtract from the Mercury's overall value.